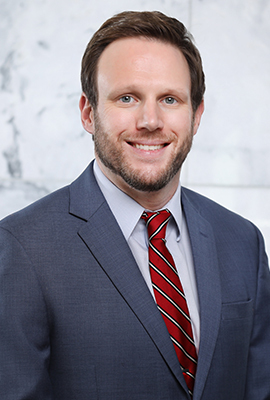 C. Blake Waldrop joined the University of Georgia School of Law in 2017 as the director of business and finance. In this role, he serves as the chief fiscal and administrative officer for the law school and is responsible for the management of its state and private monetary budgets in addition to many administrative functions such as payroll, procurement and human resources. Previously, Waldrop served as the assistant director in the university’s Budget Office, where he was responsible for the daily operations of the office as well as the supervision of six staff members. Supporting UGA’s senior administration with analytical studies and formulating annual and long-range budget projections as well as researching budget and reporting inquiries from the Governor’s Office of Planning and Budget and the University System of Georgia Board of Regents were among his duties. Other positions he has held at UGA include budget specialist and business manager in the budget and housing offices, respectively. Prior to his time at UGA, he worked as a financial operations officer specializing in capitalization, liquidity and investments at First Commerce Community Bank in Douglasville, Georgia. Waldrop earned his Bachelor of Business Administration in finance and his Master of Business Administration from the University of West Georgia. He, his wife and three children live in Watkinsville.